Isle of Man is a sanctuary for all cryptocurrency users. It continuously pushes for the development of a legal structure for Bitcoin and other virtual currencies to enable their full potential and allow further opportunities such as retail, online gaming, and financial trading to enter more markets. The self-governing British Crown may just be the ideal location for the growth of the digital currency industry. One of the many factors that give the Isle of Man a reputable name in the world of cryptocurrency is its well-established status in the digital business community. Its government believes that promoting Bitcoin regulation can encourage more individuals to make use of the virtual currency, and at the same time drive it toward a mainstream status. Moreover, the island is a preferred location for numerous iGaming industries due to its low taxes and slack legislatures, which makes it the ideal place for the foundation of Bitcoin. The cryptocurrency cluster expertise in the Isle of Man in the field of legal, tax, and technical aspects are set to embolden utilization of the technology. 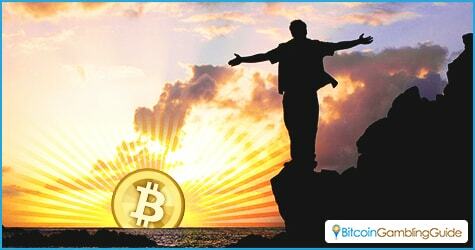 It was June 2014 when the announcement came that the island would welcome Bitcoin and other cryptocurrency-powered businesses. Together with it were the proposed amendments to the Proceeds of Crime Act, which aim to eliminate crime but at the same time, promote quality businesses within the jurisdiction. All of these are structured to benefit both the technology and its users. The island currently houses 20 firms that focus on digital currency-related markets like mining, exchange, compliance, hardware, and software space. Furthermore, the goal of these firms is to take advantage of the island’s first mover advantage. On top of these, perks such as world-class intercoms interconnectivity, financial grant assistance on up to 40-percent capital expenditures, and access to professional services that specialize in digital and e-businesses are readily available for the newcomers. The Isle of Man employs a team—Department of Economic Development—that aids new businesses through practical support and high-quality services, which include the introduction to a network of local service providers and advisors. With a mountain of experience under their belt, rookie establishments will surely be directed toward the right path. In addition, part of the team’s goal is to assist new businesses with immigration and work permit applications to ensure that the work force hired meet the standards for the required task. What the Isle of Man exhibits is something of exemplary quality toward the development of Bitcoin and cryptocurrency’s adoption into conventional methods just like traditional currency. 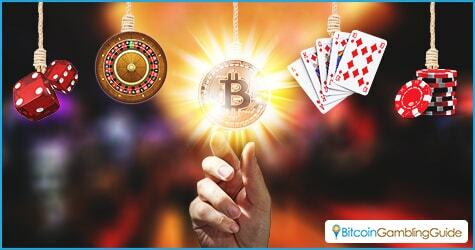 The approach they took can greatly affect the different sectors of Bitcoin such as cryptocurrency gambling, which is starting to gain traction in the island and elsewhere. Along with the Bitcoin casino industry come small businesses that only cease to exist in the online market. The concept of Bitcoin will greatly affect these corners of the niche through micropayments, together with the heaps of advantages the technology has to offer. This is a perfect example of regulation done the right way, where its interference highlights the advantages of virtual currency rather than discourage individuals from its use. The Isle of Man for Bitcoin might just be the push cryptocurrency is waiting for. This, too, could just be the extra thrust the Bitcoin gambling industry needs to speed up its growth.